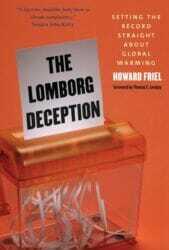 Not surprising for those who have paid attention to Lomborg over the years. His favourite trick is to claim he agrees with the IPCC then consistently lie about what the IPCC said. Also see here for a list of error’s found in his first book, the Skeptical Environmentalist. Or rather a list of findings that would ‘rock climate skeptics and their allies in the government and news media’ if they were at all interested in finding truth. But history shows that is not the case.